My daughter is petite with broad shoulders and a modest bust. She's 11 and we've been looking at petite women's suits for her this summer but they weren't cute and girly. We had never heard of TYR and stumbled upon a cute suit that in a store that fit her build perfectly!!! We then went online and ordered 2 more including the one above. 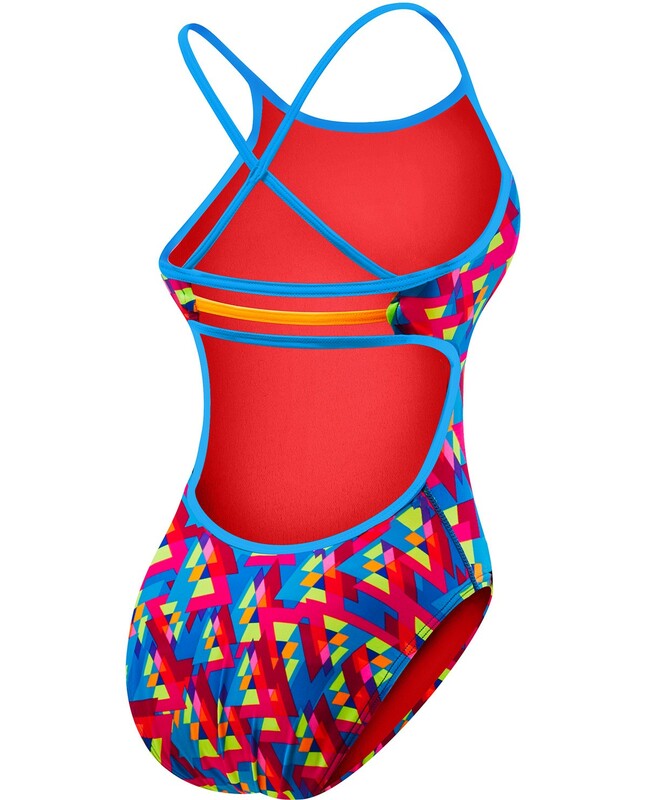 The bust sizing and the beautiful prints have been a game-changer for us and we are both thrilled to have discover TYR!! Love this swimsuit! I was wondering how the 3 strap would feel but its surprisingly comfortable and helps keep my core and torso secure while swimming. It actually helps my swimming! 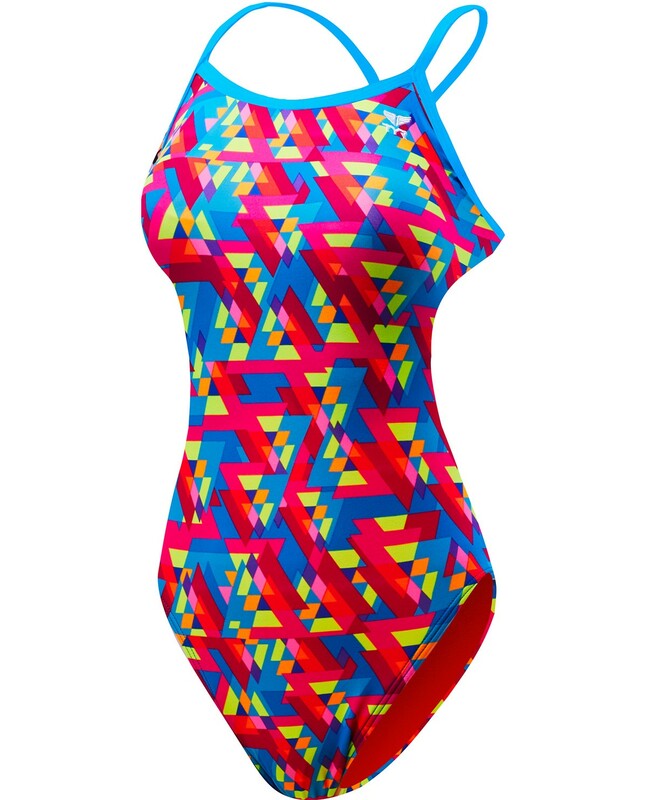 As a long-time TYR swimmer (8+yrs) this is fits in my list of one of my top favorite training suits they've ever made. Gotten so many compliments on the pattern too! LOVE this suit! I loved the bright colors and the strappy look on the back. But it ran small I felt. I have 3 other TYR suits that size that fit me, they r a different style though. I am 55inchќ and 138lbs. The seat area was so low I felt like if I bent over I would show my crack! !